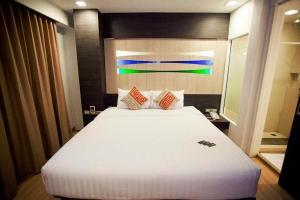 Studio Sukhumvit 11 is a 10-minute walk from Nana BTS Skytrain station. It features a restaurant, 24-hour front desk and rooms with flat-screen cable TVs. 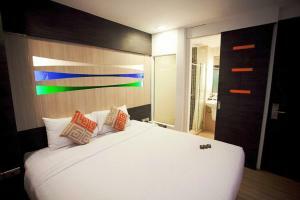 Offering air-conditioning, the non-smoking rooms at Studio Sukhumvit 11 come with modern décor and hardwood flooring. 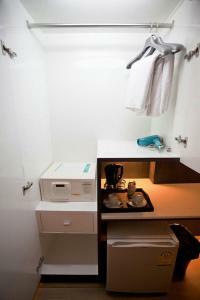 Rooms are equipped with a refrigerator and tea/coffee maker. 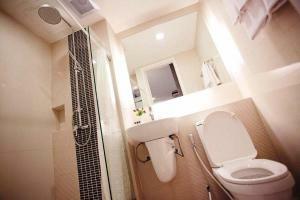 Rooms also have en suite bathroom with amenities. The hotel provides laundry and room service upon request. Traditional Thai and international dishes are served at the on-site restaurant. Light snacks and refreshing drinks are also available. 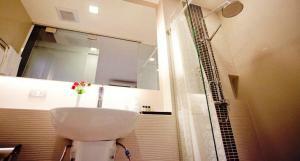 Studio Sukhumvit 11 is a 15-minute walk from Nana’s shopping district and 21 km from Suvarnabhumi Airport. Offering air-conditioning, this non-smoking rooms provides a cable flat-screen TV, a minibar and tea/coffee making facilities. En suite bathroom comes with free toiletries, a hairdryer and slippers. Rate: THB 1250.00 ... THB 1800.00; select dates below to get current rates.